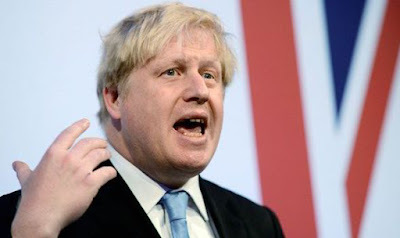 In a huge boost for our campaign, Boris Johnson MP (who has publicly supported freedom of movement between the UK, Australia, New Zealand and Canada) has been selected as the new Secretary of State for Foreign and Commonwealth Affairs in the United Kingdom. The appointment comes after the announced resignation of Prime Minister David Cameron on June 24th, and the succession of Theresa May as the new Prime Minister on July 13th. After a trip to Australia in 2013, the then-Mayor of London indicated how a new immigration scheme should exist between Australia and the UK, stating the “British are more deeply contacted with Australians – culturally and emotionally – than with any other country on earth“. “The issue may come down to political climates and the resulting political will. The UK, Australia, Canada and New Zealand share the same head of state, the same language and the same common-law legal system. Critically, they are all highly economically developed democracies and there is also a distinct common culture and familial bond between them“. With the United Kingdom also voting to leave the European Union on June 23rd, and the Australian High Commissioner to the UK, Alexander Downer, also pledging support for freedom of movement, now is the opportune time for the UK, Australia, New Zealand and Canada to negotiate agreements for the implementation of our free movement proposals. You can also join our email campaign here, and forward our personalised email templates to your local Member of Parliament and national Immigration Minister.